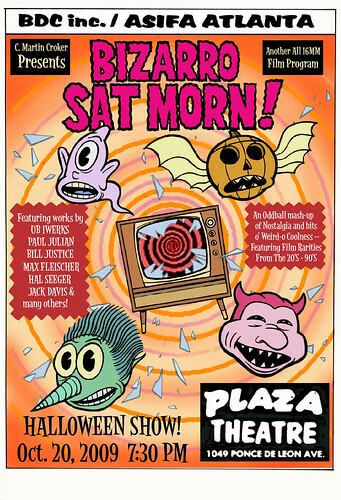 ASIFA-ATLANTA: Bizarro Sat Morn 2: Monsters/Halloween edition! Bizarro Sat Morn 2: Monsters/Halloween edition! There will the second installment - this time it'll be monster/Halloween-themed! Don't miss it! The last one was amazing. C. Martin Croker has hand-picked films from his personal archive of 16mm prints to share with us!